The four-day trip will involve attending a function at Indira Gandhi Park here to mark 40 years of Vivekananda Kendra, the closing ceremony of Namami Barak festival among other things. 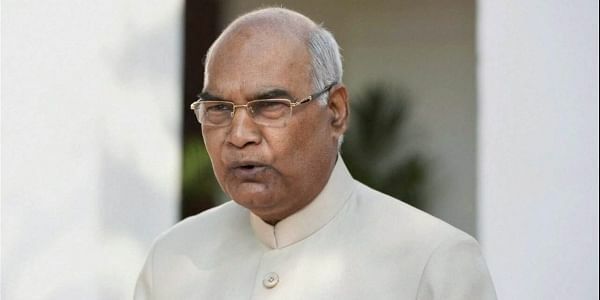 ITANAGAR: President Ram Nath Kovind will arrive here on Sunday in the first leg of his four-day maiden tour to the North East after assuming office. The President, will also visit Assam and Manipur besides Arunachal Pradesh and attend several programmes and meetings, official sources said today. On Sunday he will attend a function at Indira Gandhi Park here to mark 40 years of Vivekananda Kendra here, the sources said. Later in the day, he will also dedicate the new assembly building of Arunachal Pradesh to the people and address the legislators at a special assembly session in the afternoon. On November 20, Kovind will attend the closing ceremony of Namami Barak festival at Silchar in Assam, the sources said. The President will also attend a civic reception organised by Gauhati University. He will visit Manipur on November 21 where he will inaugurate the North East Development Summit and the annual 10-day Sangai Festival in Imphal. Before leaving for Delhi, the President will visit the INA war memorial at Moirang on November 22, the sources added.